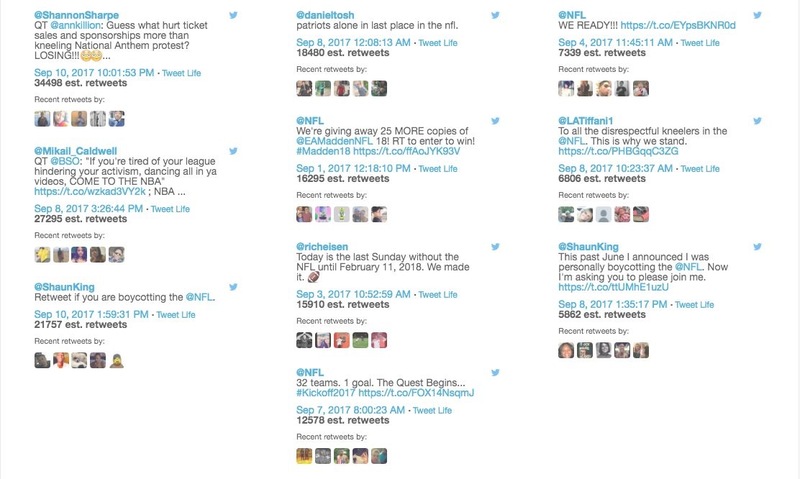 The NFL 2017 season started officially on September 7, but on Twitter it started before that. According to Sysomos, between 09/01 and 09/15, there were 1.7 million tweets about the NFL, without including retweets and mentions. Even though fans all around the world were talking about the kickoff, the United States it’s where the sport is more celebrated. 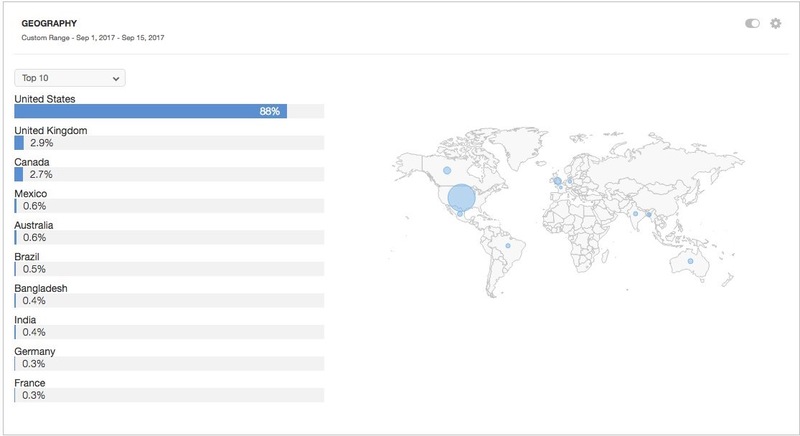 88% of the tweets came from the US during the two weeks. The number can be explained because football is a part of the American culture while in European countries the main sport is soccer. It’s a woman’s world but most of the tweets/interactions came from men. In the world cloud, it was interesting to observe Colin Kaepernick’s name and social issues being mentioned. The 49ers player began a series of silent protests by sitting down during the National Anthem in August and was soon followed by other players. They were and still are protesting the social injustice and oppression of people of color, and the ongoing police brutality in the United States. Other common words like “NFL,” “Sunday,”and “football” are amongst the popular words, and the NFL’s handle (@nfl) was the most used one. The number of mentions peaked between September 9 and September 12, reaching more than 500k mentions on the Twitter-verse. On the Buzzgraph, there’s a strong connection between words like NFL, players, QT (quick tackle), and game. Also, there’s a connection between the words and the @nfl. People commenting on the game have a tendency to discuss the play-by-plays while also commenting on the athletes performances. That’s why those words basically walk together holding hands. Below, there’s the most retweeted tweets during this time period. The three most retweeted tweets are talking about the protests. Interesting to see this from a data perspective rather than anecdotal yelling on Twitter. Nice job! I appreciated the introduction, that showed conversations surrounding events starts way before the event begins. I liked the “women’s world” but men own sports anecdote, because it is true. When I look at myself and my brother (and I love sports), my brother could run circles around me in sporting trivia. I also liked Geography, because it shows how much football dominates in American cultures. Very good blog post! I loved all of the images that you guys used as well as the mention of Colin Kaepernick. It’s amazing to see what he has been able to do and the stand he has taken through social media and football. Wish I would’ve thought about this topic! Really interesting topic to evaluate! I can’t even imagine the number of tweets relating to the NFL from September to now, especially with the national anthem protests, CTE argument, and other issues and controversies coming about since the beginning of the season. The NFL is definitely a trending topic and it’s interesting to see how over time, it magnifies. Great post! The most interesting thing about this post to me was how much was tweeted about the NFL before the season even beginning. This makes me really think about the importance of “social listening;” it is necessary to keep eyes and ears open about different events and topics that are being discussed about on the Internet, even if you would think that timing of it wouldn’t start for hours, days, weeks, etc.